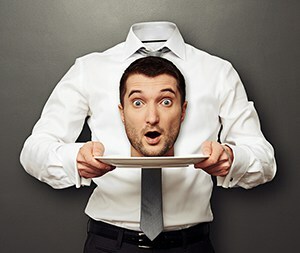 How Would You Like to Get a 226% Increase in Sales Conversions? Who wouldn’t like to see that kind of massive conversion increase? dramatically with the traffic that you already have. My friend Terry Dean, one of the best online marketers around, focuses on conversion techniques for all of his coaching clients. Of course, without any traffic at all, conversions don’t matter. But if you have even a little bit of traffic, and you want to increase your conversions dramatically, the fastest and easiest way is to add scarcity to your offer. But there are dangers in using scarcity incorrectly. In fact, it could backfire on you completely. But done well, scarcity can be a beautiful thing. In a few minutes, we’ll look at a test by a clothing retailer that resulted in 226 percent increase in ROI. If you’ve ever used coupons, bought a car on sale, gone to the Macy’s one-day sale, bid on any eBay auction, then you’ve been affected by time-limited marketing. They all do it. And they do it because it works so well. For example, if a product was ‘open’ for a week, and during the first 6 days I made 100 sales, then within the last 24 hours I’d make anywhere from 50 to 100 more sales. This happened every single time." According to psychologists, scarcity actually creates a mini-crisis for someone and it focuses the viewer on taking action to alieve the condition. They know if they don’t act now, they may lose out on a deal. And it turns out that losing out, the Fear of Missing Out or FOMO, is the driving emotional factor behind most purchases. In fact, researchers have shown that FOMO is twice as likely to drive sales as an opportunity to seek pleasure. Scarcity increases customer desire because it forces action. You can’t really be a fence sitter if the product is not going to be available tomorrow. What does Terry Dean have to say about it? Without a reason to act now, people don’t have to take any action. If someone buys a product from you without scarcity, it means they have a desperate problem and need a solution right now, no matter what the price is. What about price? Is price always the trigger in scarcity ploys? No, there are many ways to INCREASE price because of scarcity. When the iPhone first came out, Steve Jobs understood and used scarcity to maintain a premium price. I knew the person at AT&T really well who managed the iPhone launch. She dealt directly with Jobs. AT&T had the exclusive (another form of scarcity) contract to sell the first iPhone. The launch date of the iPhone was months away, but set in stone because they had to leak it, then meet it to build anticipation. The company began taking pre-orders. I don’t remember the exact numbers, but let’s say that Apple was releasing only 1 million phones on launch day. Pre-orders were many times that number. Of course they could have. 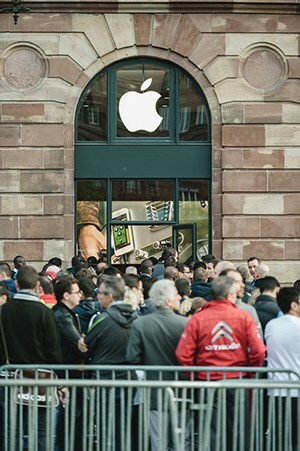 But the lines at the front door would have been shorter and no one would have spent the night in a tent on the sidewalk to make sure that they got the first iPhone. Early adopters are the best friend of the scarcity tactic because they become the new evangelists with the coolest tools. Apple was able to maintain that position for many years with every new launch. People that say launches don’t work should study Apple – they’ve mastered the launch. And let’s talk about that launch date. Launch dates build anticipation that result from a countdown. And a countdown timer is shorthand to your brain that this is urgent. And as we’ve said, our brain has a hard-wired response to urgent feelings, especially if we think we’re going to lose something, even if the loss is just an opportunity to get something. In fact, scarcity actually makes people feel like something is more valuable – even when it’s not. What does a world class violinist have to do with this? Let’s talk about Joshua Bell. He’s a world-class, high-priced concert violinist. People stand in line for days to pay hundreds of dollars for tickets to see him perform in major halls across the world. As an experiment to see how people valued his music outside the concert hall, he decided to play a free, unannounced concert in the Washington, DC subway. That's him in the 2-minute video at the right. Imagine that you walk into the station and hear this beautiful violin music coming from an ordinary man dressed in casual clothes. There’s no sign, no press crew, no indication in any way that this man is special. People ignored him, until one woman at the end recognized him and said she'd seen him play at "The Library of Congress..."
He is one of the most gifted and respected violinists in the world. This performance was free. People on the subway did not “value” him as much as when they paid for tickets in Carnegie Hall. But the music was the same. In the subway, Joshua Bell’s music was not scarce. In the concert hall, it is. And the perceived value was in the concert hall, not in the common subway station. So, what exactly is scarcity? Science of the brain tells us she was right. If you’ve got it, I want it. If I’ve already got it, you can have it. Christmas morning is a great example. Kids often abandoned the race car or Barbie doll that they’d insisted they absolutely had to have because they saw something else under the tree. That reaction is hard-wired in us. 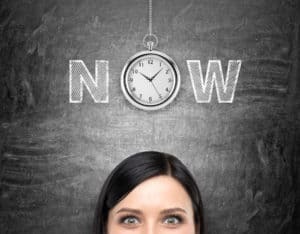 Our brain releases measurable chemicals when we think we’re going to miss out on something. The more difficult it is to acquire something the more value that thing has. Rolls Royce automobiles are incredibly difficult to get. There’s a long waiting list. But if you offer me free shipping in the next 20 minutes, my brain gets just as lit up as if I’d been put on the waiting list for a Rolls. If you want to sell something, you have to add a deadline. But if you overdue it, then people don’t believe you. 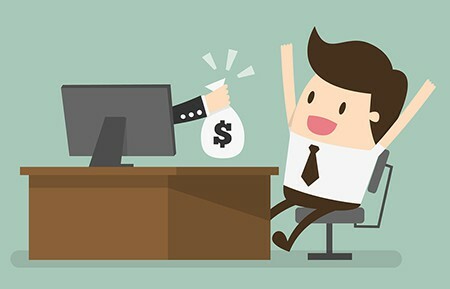 That’s why when we build the Simple Conversion Commander plugin, we did so with the requirement that it manage marketing campaigns so that an offer was gone when it said it was gone. That’s just keeping your integrity tidied up. But the other benefit is that it helps train your people to pay attention. If you say it’s gone at midnight ET, then it should be gone at midnight ET. Not PT, or MT, but ET. Then, the next time a promotion runs and it says midnight ET, folks will know. After midnight and you’ll lose out. Remember that 226 percent ROI increase? 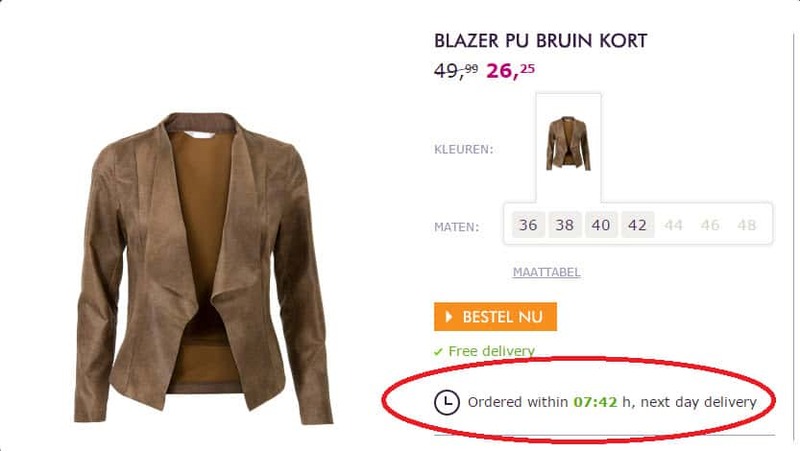 That came about with one little change to an online ecommerce page where a Dutch retailer was selling a suede jacket. The results are below. Look closely and you'll see one little thing that makes all the difference in the world. Yep, it's the scarcity element. The test was very simple. The first listing, call it Test A, was exactly the same without the scarcity element. The second listing, Test B, added the inline text timer to off next day delivery. It doesn't even offer "Free" next day. It just says to order before the timer goes down and you'll get it next day. That simple change - adding a scarcity element with a timer - resulted in a 226 percent revenue increase on that listing. Over the two-week test, the conversions went from 3% (on the page without the timer) to nearly 7 % regularly with nearly 50,000 visitors. All day long! The timer had a major (and predictable) impact according to the website WhichTestWon.com. If you add time-limited scarcity in a strategic way, your results could be similar. process. It’s a set-it-and-forget-it affair. Or at least, it should be. I’ve stayed up many nights to change the price on a page. Or close down an offer. Or redirect a page to a new page. And it’s a pain to do that. The Simple Conversion Commander is the tool that does just that. It’s a WordPress plugin, but works with raw code for non WordPress sites. To add scarcity to your posts, be sure you check that out. 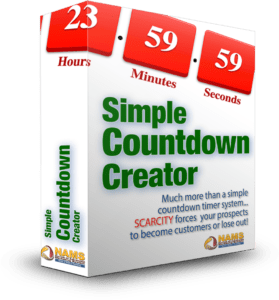 Check out Simple Countdown Creator here!